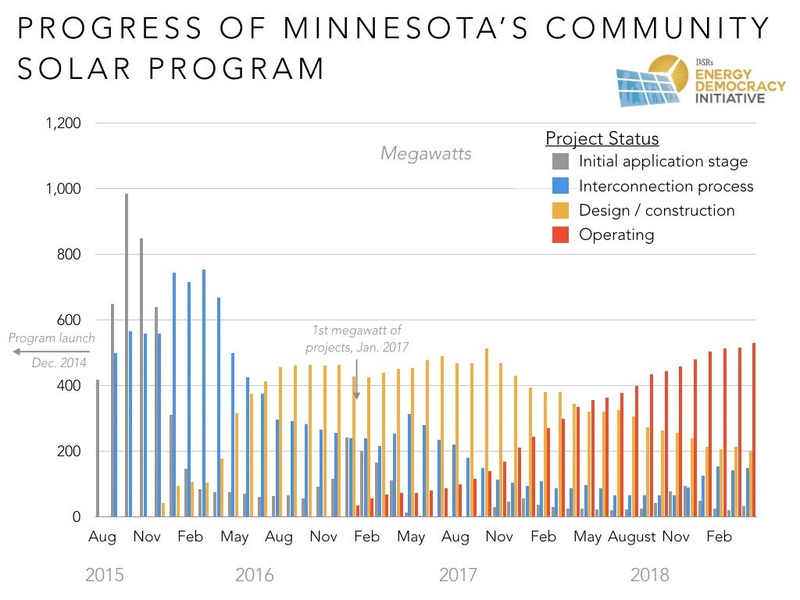 Minnesota’s community solar program hit a record 532 megawatts of operational capacity in April 2019. 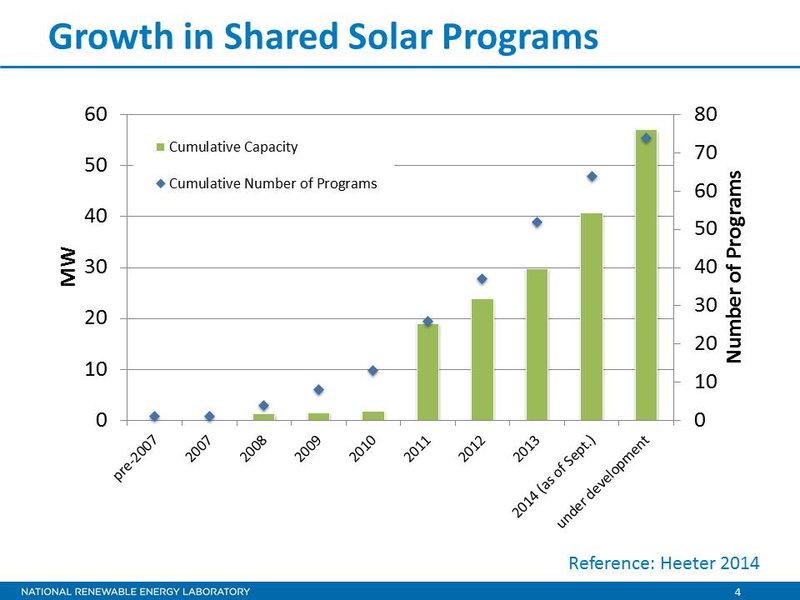 The chart above shows the progress of projects through the program since August 2015, and the nearly two-year lag between the program launch in December 2014 and the successful ignition of multiple megawatts of capacity in January 2017. Lagging by two months, data from Xcel Energy shows that bill credits for all customers totaled more than $2.2 million in February, for 17.3 million kilowatt-hours. Based on the 2018 approved value of solar, the energy was worth at least $2.2 million. 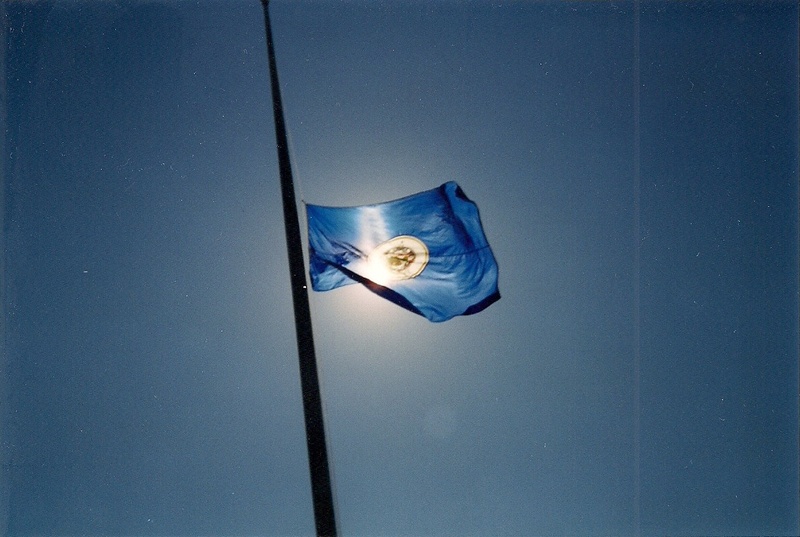 That figure does not include factoring in the distribution capacity value of solar nor the potential volatility of gas prices that are avoided, nor does it include the benefits of shifting wealth from power generation ownership away from a private monopoly and to a broad set of subscribers across the state. In April 2019, Xcel Energy proposed changes to how it is required to report community solar program information through a new online dashboard that the utility would make available on its website. 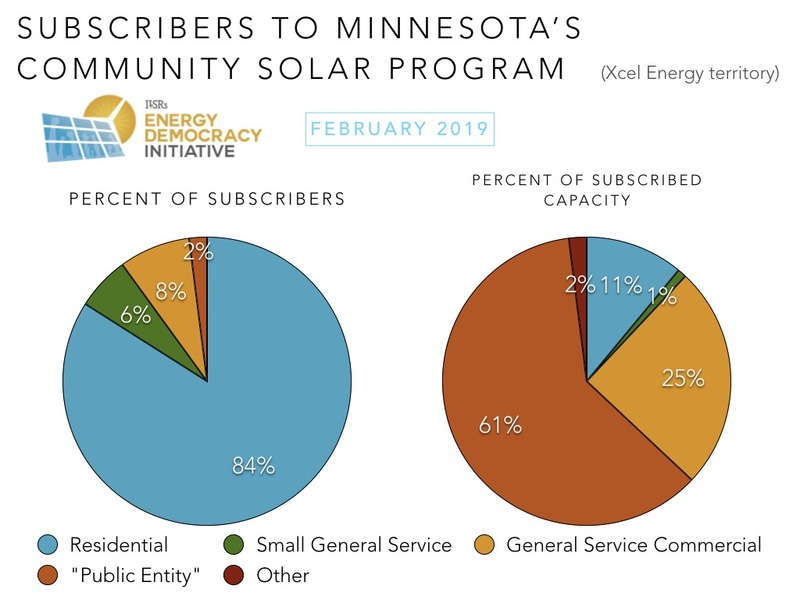 ILSR signed on to comments to the Minnesota Public Utilities Commission in support of this proposed reporting change, which could help increase transparency and accessibility of community solar data. In addition, such a tool would provide a useful model as a growing number of states pass policies to expand shared renewable programs across the country. In October 2018, the Minnesota Public Utilities Commission approved an adder to compensation rates for residential subscribers, boosting subscriptions by 1.5 cents per kilowatt-hour for projects started in 2019 or 2020. It’s hard to say definitively, but the project queue (including new applications, projects in study, projects in design/construction, and energized projects) rebounded to over 900 megawatts by December 1st, after falling from about 950 megawatts in January 2017 to about 800 megawatts earlier this year. The adder will come on top of the revised compensation scheme for new projects in 2018––based on the value of solar. Below is a simplified version of the chart above, showing just projects in the design/construction phase or in operation. As Xcel Energy publishes data on the mix of subscribers, we can report that more than 12,000 residential customers (84% of all subscribers) are saving money with a shared solar subscription. 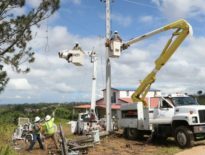 While most of the program’s total capacity continues to serve commercial customers (87%), a majority of that total capacity (61% or 198 megawatts out of 325 megawatts) now notably serves public entities (up from one-third or about 100 megawatts of the total program capacity in March 2018). These public entities include schools, colleges, hospitals, and county and local governments, as outlined in Xcel Energy’s 2018 Annual Operations Report (April 2019). In other words, community solar helps broaden those who benefit from solar by enabling individuals and public institutions to save money with solar! We’ll continue providing these subscriber spreads month-by-month if Xcel keeps reporting them. 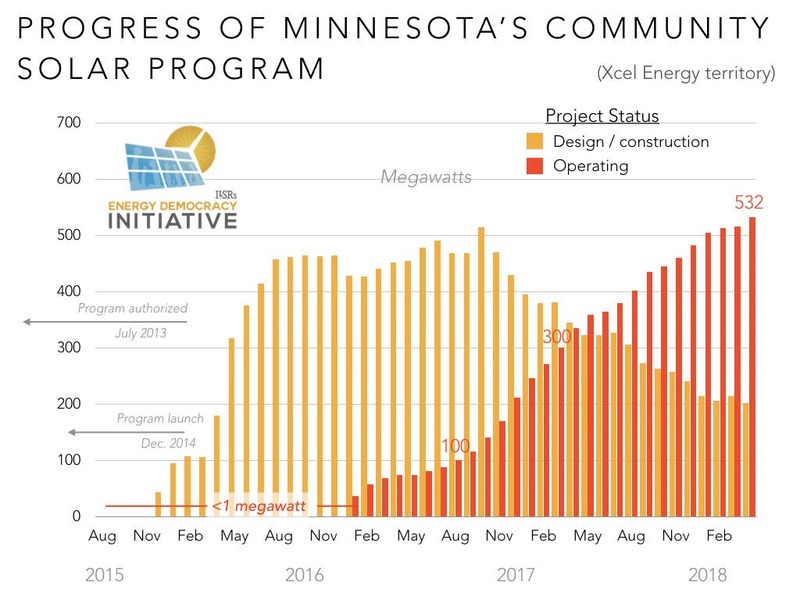 Minnesota’s program (see infographic) is a comprehensive approach that makes developing community solar projects economically viable and—most importantly—that does not cap the development of community solar projects. The latter is the key.